At King Communications, we believe in the principle that “There are no problems, only solutions”... GOOD solutions, we dare say. Our agency accompanies you every step of the way in creating your branding and marketing communications tools. By listening attentively and adopting a collaborative approach, we work – with you and for you – towards achieving your goals. 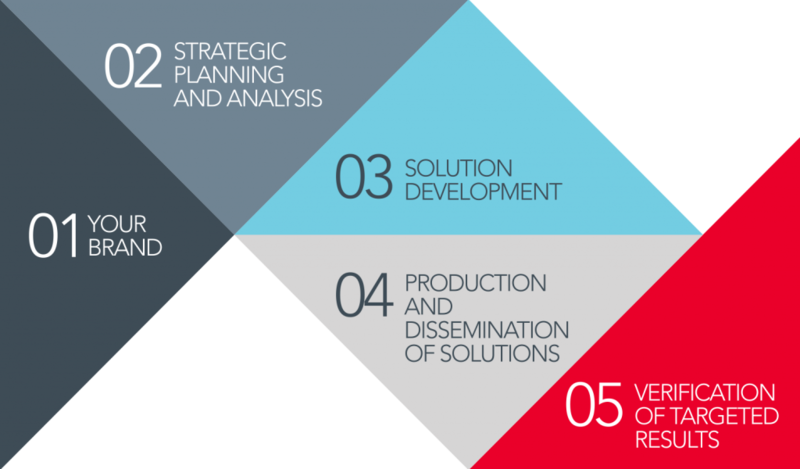 The greatest successes come to light on the drawing board… Good strategic planning provides a solid foundation and supports actions to be implemented. Whether you want to reinforce or renew your branding, our brand creation experts will help you stand out with a strong brand image that reflects your company’s DNA. From art direction to graphic design and writing, our abundantly imaginative creative team crafts ideas serving the concepts that will showcase your company and its products and services. Combined with a well-conceived and effectively executed action plan, our powerful web strategies optimize your company’s web ecosystem, driving social media and other digital platforms to maximize performance and achieve your digital goals. A website is a crucial tool in any web marketing strategy. We are your web agency to ensure the creation and development of websites that combine performance and design to fulfil your expectations and those of your customers. Take advantage of one-stop shopping for your traditional media (radio/TV ads, newspapers, magazines) and print communications (billboards, posters, etc.). King Communications enjoys a fine reputation in the Laurentian Region for the quality and dependability of its printing services. Over the past 25 years, our agency has added many arrows to its quiver. What’s more, our aim is true! Through a judicious combination of ideas, strategies, tools and media, we hit your desired targets... in the bull’s eye!